For sale directly from the owners! This charming 3 bedroom village home is located within a quiet position in the heart of this beautiful “pueblo blanco” – one of the most attractive villages in the whole of the Axarquia region of Malaga. The house has been reformed to a high standard (during 2011 and 2012) to ensure a comfortable life but the house also retains many of the original features of a traditional village home – the charm of the old with the benefits of a contemporary renovation. The property benefits from three separate outside spaces – a traditional “patio Andaluz” on the ground floor, an open roof terrace with amazing views and a wonderful covered terrace which is an ideal space for relaxing, dining and entertaining. With so much outside space, the house is well suited to being a permanent home – the current owners live in the property all year round and they enjoy all of the amenities that are available within a short stroll. They also enjoy all of the festivities that a village such as this celebrates throughout the year. Equally, the house would make an ideal holiday home – easy to “lock and leave” as the property has no work to do, just turn up, pop the key in the door and relax in comfort. The house is set across three levels – the main level is accessed off the street and opens into a large kitchen and dining room. There is an archway through to a utility room and the kitchen also leads through to a private Andalusian patio. On this level, there is also a large living room with a wood burning stove. Off the living room is a guest bedroom. From the utility room, a short flight of 5 stairs leads to a small landing, the second bathroom and a further flight of stairs leads to bedroom 3. Stairs lead down to a lower level which is home to the master bedroom and master bathroom. The top floor is reached from stairs within the living room and leads to a study/office and opens into the summer terrace (covered and ideal for relaxing and dining) and the open roof terrace which has some terrific views across the village. We have highlighted certain aspects of this house which help to make it stand out from many others… ♦ 115M2 of internal and outside living space ♦ 3 double bedrooms and 2 bathrooms ♦ Quiet location in the heart of the village ♦ Walking distance of all local amenities, bars and restaurants ♦ Parking close by ♦ Sedella is located on the edge of the Sierra de Tejada Natural Park ♦ Just 30mins from the coast and 1 hour to Malaga and the airport ♦ Three outside spaces to enjoy the best of the climate ♦ Double glazed aluminium wood effect windows with traditional shutters ♦ Well fitted kitchen and open plan dining area ♦ Spacious living room with wood burning stove for the cooler evenings ♦ Terracotta tiling throughout ♦ 4G internet access via line of sight system – streaming TV no problem ♦ All mains services – water, electric and drainage ♦ Furniture and fixtures & fittings available for separate negotiation Layout of the property in more detail… The main entrance leads to the Kitchen/Diner (17.7 m²) which has a built in hob and oven and extractor hood and floor mounted storage units. French Doors lead outside to the Andalusian Patio. An archway leads to the Utility Room (7.2 m²) which has space for a fridge/freezer, dishwasher, washing machine, storage shelves and wine rack. ​Our comfortable Living Room (17.7 m²) has a wood burning stove, ceiling fan and French doors leading to a Juliet Balcony. There are stairs down to the ground floor and up to the Office (8.3 m²) with 4G Internet and a door leading to the Summer Kitchen and Roof Terrace. The Master Bedroom (10.2 m²) has 2 windows and a wall-mounted electric heater. It is entered from a Lobby (2.5 m²) that connects to the Master Bathroom (3.8 m²) with a shower cubicle, bath, hand wash basin, toilet and heated towel rail. The Second Bedroom (8.9 m²) has a double French Door and a ceiling fan. The Third bedroom is (7.4 m²) and approached by a small flight of steps and is close to the Second Bathroom (3.6 m²) with a shower, bidet, wash hand basin and wall mounted heater. ​Outside Space ​The house has three separate outside spaces which is a rarity – a Roof Terrace (8.1 m²) with stunning views of the village and mountains, a shaded arched Summer Kitchen (10.7 m²) for dining or entertaining. Both are accessed through the Office. Off the Kitchen there is a lovely Andalusian Patio (3.4 m²) for enjoying a glass of wine. There is also a Storage Room (4.8 m²) accessed via the Patio. Sedella and the Axarquia… Sedella is located in a privileged position in the beautiful region of the Axarquia, an hour from Malaga and its International Airport and 40 minutes from the Mediterranean. The major Costa del Sol resorts of Torre del Mar (40 min.) and Nerja (55 min.) are close by. The village sits on the edge of the Parque Natural Sierras Tejeda y Almijaras with its spectacular scenery and extensive walking and hiking. The house is also within easy reach of the world famous sights of Andalusia, such as Seville, Granada and Cordoba via an excellent network of motorways and high speed railway routes. Sedella is a traditional white village of 600 inhabitants on the edge of a Parque Natural. It was founded by the Romans and developed by the Moors. There are a number of bars that serve tapas, two restaurants, two local shops and a small Monday market. The Axarquia is a relatively undeveloped region of the Costa del Sol. It mixes tourism, with agriculture and extensive wild areas. Expect to see spectacular sub-tropical flowers and lots a wildlife, and because the climate is so mild, fruit trees such as Avocado and Mango grow in the area. The Axarquia is a very Spanish region East of Malaga and less developed than the area to the West of the city. You can walk in the mountains in the morning and swim in the Mediterranean in the afternoon. It has all the usual supermarkets, shopping, medical and transport facilities that you would expect and are easily reached from Sedella. The owners – David & Julia have thoroughly enjoyed their time in Sedella and are now moving on and want to find new owners who can enjoy the property just as much as they have for many years into the future. If this house sounds like it could be of interest to you, send us a message or give us a call and we can introduce you to the owners of this charming home. BEAUTIFUL APPARTMENT WITH 1 BEDROOM, 1 BATHROOM, AMERICAN KITCHEN, A BALCONY (4M) AND COMMUNITY POOL IN A VERY QUIET AREA, CLOSE TO ALL SERVICES. Engel & Völkers invites you to visit this property, in a quiet location close to all kinds of services, shops and public transport, with direct access to the rounds and 10 minutes from the centre of Badalona. This Beautiful duplex consists of 125m2 distributed in two well differentiated zones, the zone of day and the zone of night. Entering the property, on the left, is located the day area consisting of the fully equipped kitchen; Next to this an independent water area where to put the washer and dryer; The dining room, facing south, has a direct exit to the balcony and to finish this area, there is a toilet that provides service to this plant. We Access the upper floor by the stairs of the dining room, where we find the night area. First, on the left you will find a single room and next to it a double room, the two facing north and outside; Across the hall, we found a full bathroom, facing the same and under the staircase built-in wardrobes taking advantage of the gap of this. At the bottom of the corridor, on the left there is a double room with exit to a balcony and another single room, the latter two facing south. A bright and spacious exterior floor, feel free to visit, sure to satisfy all your expectations. La Morera, is a neighborhood of Badalona (Barcelona) which is part of the Districts III together with the eastern part of Montigalà, Canyet, Mas Ram, Bufalà, Pomar, Pomar de Dalt, Bonavista i Les Guixeres. It Borders with Bufalà, Bonavista, Pomar de Dalt, Pomar, Les Guixeres, and the town of La Vila. Authentic apartment located in the Royal estate of the late NINETEENTH century in the heart of Barcelona. The Building is part of a plan of conservation of the Patrimony of Barcelona with a level of protection like "Good of Urban Interest". The Apartment is located on the first floor of the estate with lift, which has a fantastic entrance where you can appreciate the impressive architectural details of the time. Its distribution runs in a typical rectangular plant to the flats of the Eixample, through a large hall that introduces us to the spacious living-dining room with a fantastic open kitchen of Italian design. This space, as in the rest of the property, has been completely rehabilitated, having a lot of cure in its restoration and design. We Emphasize the Catalan turn in ceiling with LEED lighting, and the large exterior window that fills the space of light and frames the columns of great architectural value. The Night area of the property consists of two large rooms, one of them with complete bathroom and dressing room type suite. The two rooms are lit and aired thanks to The two outdoor terraces. Finally another full bathroom and a laundry area complete the property. It Is worth noting the high quality of all the materials and elements used in the whole project of property reform ideal Apartment for people with character who can afford to acquire and preserve a real modernist piece that is part of The beginnings of the history of the city of Barcelona. When It comes to Eixample we tend to think of Barcelona's Eixample, which is the famous Quadrat d'Or. However, that modern urbanization carried out as Pla Cerdà is also found in other enclaves of the city of Barcelona that often go unnoticed through time and tourists who barely notice what differentiates it from their surroundings. We refer to the group of streets between Notaria Street, Monjuïc del Carme, Doctor Dou, Elisabets Passage and as the backbone of Pintor Fortuny Street. The buildings of the street Doctor Dou and Pintor Fortuny are of recognized architects of the end of the XIX century like the one that hosts the Café The Collective or the company of cosmetics Byphasse, corner with Notari, both of the architect Joan Frexe I Vilardaga author also of the Finca Where you will find the bar La Cabaña, corner of the street dels Angels. Salvador Viñals Sabaté designed the Finca where the Caravelle bar is housed and the one on the side, on whose lintel the date of 1879 appears. Even Magí Rius Mulet, one of the great collaborators of Cerdà in the Eixample, built in this area two blocks of houses where the bodega Plaza and the Restaurant L'antic Forn are located. Also Noteworthy in this section is the Casa Ramón Mumbrú designed by the famous Valencian architect Rafael Guastavino, known for his constructions in the United States as the Boston Public library or the Grand Central Terminal station in New York. Apartment for sale in the area of the Rincon de Loix, with a surface of 60 m2 and with a distance to the beach of Levante of 400. The housing consists of a bedroom, a bathroom, open plan kitchen with Gallery, living room, terrace of 10 m2, air conditioning split. The orientation is South, and urbanization has elevator, pool and community parking. The location is spectacular, in flat area of the Rincón de Loix and its wonderful beaches, next stops of bus, shops, supermarkets, pharmacies, and walkways. Opportunity, do not miss it! Stunningly located just 5 minutes from Montserrat town with open country views, we are delighted to present this 4 bedroom, 1 bathroom incredible value villa boasting a large private pool with filter, a paellero BBQ area, lovely gardens with fruit trees and a private solarium. The villa is comprised of an open lounge/kitchen area with a log burner, 4 double bedrooms, and a small family bathroom. The property has been semi reformed and is presented in good condition. Outside the villa boasts a lovely terrace with stunning open views, a large private pool, a covered car port or outdoor dining area, a paellero BBQ, a w/c, a small storage unit and external stairs that lead to the solarium boasting incredible views! The owners love - "This has been a great family home for us over many years and we have always loved the views, the pool, the peace, privacy and quietness of the area. We hope the next owners enjoy this home as much as we have." We think - "This villa is presented in great condition and viewing is highly recommended as this is the type of property that seems to tick all the important boxes for our clients! The villa is 5 minutes from Montserrat town, 30 minutes from the City Centre and 20 minutes to the airport!" The residential Skandinavia is a modern residential consisting of apartments with 2 - 3 bedrooms and 2 bathrooms, and penthouses with solarium. The offer is completed with a large communal area formed by pool, barbecue and solarium where you can enjoy the pleasant Mediterranean climate. As if that were not enough, it is located just 60 meters from the beach of El Cura, one of the most important beaches of Torrevieja and just 3 minutes from the Juan Aparicio promenade.Would you like to know more about the location?Torrevieja is a city located south of the Costa Blanca. The influence of the sea has been present throughout its history, from being a small fishing village, to one of the best known cities of the Costa Blanca. The increase in tourism has caused the development of the city. Currently, Torrevieja has all kinds of services and has excellent access that easily communicate with Alicante, Murcia and Elche. Nowadays, it is one of the favorite destinations for national and international tourists, who seek to enjoy its climate, its beaches and its gastronomy.Contact us if you want to visit them! This "Buhardilla" model modern terraced house comprises 4 large rectangular sections, which comprise "Upstairs", "Downstairs , Front courtyard", and "Back courtyard". It is set in a great location and is about 20 years old. It is bright and airy. It has been fully restored over the last four years by the current owner. Receipts and handbooks are to hand. The internal floor space is approximately 126 m². Entering downstairs (63 m²), there is a large sitting room/diner with quality wood burning fire. To the left there is a large modern galley kitchen with double sinks, integrated dishwasher, and modern fridge freezer. There is a separate laundry/boiler area with a window. Towards the back of the house, there is a large bathroom with a new bath and attractive tiles. At the back there are two double bedrooms (each with large quality fitted wardrobes) that overlook the back courtyard and a nature reserve. One bedroom has a double glass door that leads to the courtyard by way of a small veranda (included in measurements for "downstairs"). Access upstairs is gained by way of a substantial staircase. The first floor accommodation includes the private 26 m² south facing roof terrace that provides sun and shelter, and a 36 m² covered living area that includes the master bedroom (30 m²), a pleasant shower room with tiles to match downstairs, and another large fitted wardrobe. The property is set well back from the road. It is not overlooked. There are natural views, and plenty of air and light on both levels. There is a distant sea view from the rear of this property. The current owner undertook internal modifications to remove a void and fit windows per Art. 7 Horizontal Property Act. The front (south facing) courtyard includes a private and pretty 11 m² veranda with concealed drying area. The garden including the veranda is 38 m². This veranda was excluded from the measurements from "downstairs." Both garden areas have been terraced in a matching and sympathetic "pueblo style" The terraced back garden is 26 m². It offers natural surroundings, unusual privacy, a place to relax in the summer, and distant sea views. There is an ancient rural track behind the property. There are parking spaces for this property on the street, but parking is also possible to the rear, so bulky items can easily be carried in. There is a 20 m² flat awning fitted to the upper terrace. There is also a large awning over the front veranda. There is air conditioning in the four main living areas. Internal lights are LED. Outside lights are energy saving. The ground area of the plot is about 128 m². The total floor area is about 192 m². This property is set in substantial common grounds. There is a large communal pool that has recently been renovated. The urbanisation comprises 41 properties in 6 blocks. This Block is the last block in the row. It is set in the most natural and private location. There are many palms and other trees on the estate. There are some pleasant roof and treetop views to the South. Excellent for sport, wildlife, and nature. Walking distance to Villamartin plaza, shops etc. 2 Bedrooms Middle Floor Apartment in Benalmadena Costa. Beautiful apartment for sale completely refurbished located in Puerto Marina, 2 minutes walk from the beach of Malapesquera and very close to the Carihuela. It is not in the bar area. The property consists of two bedrooms, one bathroom, a kitchen, a laundry room that was previously a bathroom, and a living room with views to the harbor and south facing. The living room has a large window that gives light all day. 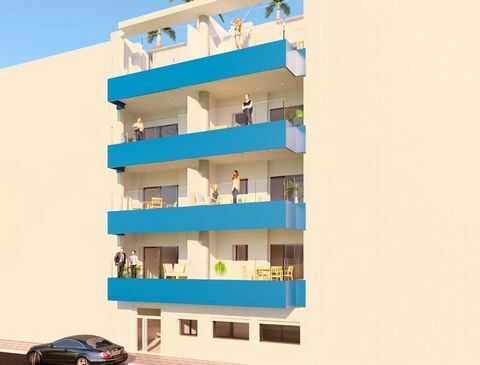 It is a first floor towards the port, but the entrance to the property is by the same level of access to the block so everything is on the same floor and it is not necessary to use an elevator. It is fully renovated, with very good qualities, the furniture is included and the kitchen fully equipped. If you want to make a good investment in the Costa del Sol, this may be your opportunity! What are you waiting for to visit this beautiful apartment? Note: The exposed data are merely informative and have no contractual value. The offer is subject to errors, price changes, omission, availability and / or withdrawal from the market without prior notice. In the indicated price the expenses inherent to the purchase of real estate according to the laws in force are not included (ITP or VAT, notary expenses, registry expenses, management,.. . ). Casa / Chalet en venta en Busot de 180 m2. Casa Rústica en venta en Busot de 120 m2. Casa / Chalet en venta en Busot de 168 m2. Reduced from €125,000 to €119,995. This fantastic 2 bedroom, 2 bathroom ground floor apartment is situated in a very desirable location in the sought after area of Los Dolses, located within walking distance to Los Dolses commercial centre and the very popular Zenia Boulevard shopping mall with a fine selection of shops and restaurants restaurants. The beautiful sandy beaches of La Zenia are just a few minutes drive away. Situated inside a gated community close to the communal swimming pool this property is comprised of a large garden area with steps up to a covered entrance porch with a door to a spacious lounge/diner with open fire place, a spacious fully fitted kitchen "American" style kitchen and storeroom, a family bathroom, a twin bedroom with built in wardrobe and a master bedroom with built in wardrobe and an en-suite bathroom. Other benefits of this delightful apartment include a parking area in front of the property, marble flooring, an open fireplace and a lovely communal pool. The property is sold furnished. The owners love - "The light and airy feel of the property, peaceful location, excellent choice of local restaurants, shops, golf courses and beautiful beaches and the well-kept community." We think - "The property is in a prime position, perfect for either permanent living or a great holiday home, offering excellent rental potential"
In the south of the Costa Blanca close to the beach and near the airport we are offering this beautiful property (apartment). It comprises of 2 bedrooms and 1 bathrooms and is located in Rojales. This property is North-West facing. Its plotsize is 0 m2 (with apartments obviously 0 m2), whilst its built size is 65 m2. The property has been built in 2007 and is offered semi furnished. With this property comes a communal pool. This apartment is situated in a beautiful modernista building in one of the most prestigious neighbourhoods of Barcelona, in Eixample Left, near Turó Park and surrounded by many luxury shops. The building has a spectacular entrance with a classic lift and a concierge service. The apartment is on the first floor (principal) and covers 140 m². Having undergone a top-quality renovation, the property is impeccable and modern throughout. The 32 m² living room is very bright thanks to the 3.20-metre high ceiling and 2 new wooden balcony doors with views over the charming Carrer Paris. The kitchen, with a 3×1.20 metre kitchen island that also serves as a bar at one end, is fully equipped, including a wine fridge. Towards the rear of this luxurious apartment we find 3 double bedrooms and 3 bathrooms, 2 of which are ensuite, providing all the comfort one can wish for. The apartment furthermore has a guest toilet, a laundry room and ample storage space. The living room and all of the bedrooms have oak wooden floors and the property is delivered ready to enter, including the designer furniture, the SMEG brand household appliances and accessories. A pristine new home in an unbeatable location.